Put Your Business In Its Best Light With A Stunning Outdoor LED Sign from Ledle Media. With an outdoor LED sign from Ledle Media struggling to get the attention of traffic and people walking by will be a thing of the past. Used extensively by retailers, service professional businesses, food outlets and pharmacies, franchises and corporates, an outdoor LED sign puts your business in its best light, for all to see day and night. 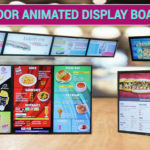 They’re also an extremely effective and potent marketing tool and can be produced on one side or two sides, in any size, shape and colour you can imagine. 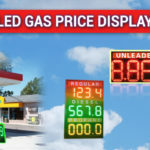 LEDLE signs allow you to change your message using your laptop, but more importantly they let you display your message in scrolling, flashing, static and other message display formats. 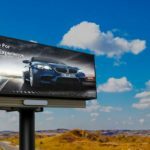 Some Of The Reasons Why Businesses Choose A LED Sign From Ledle Media And Not Another LED Sign Supplier in Greater Toronto Area and surrounding areas in Ontario. 13 years LED signage expertise – Unlike a lot of the pretend experts in LED signage and the maze of cheap signs we’ve worked hard to build relationships with clients and our reputation. 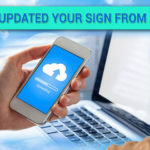 That’s why we can guarantee your sign will not only be high quality and superbly crafted, but you’ll receive peace of mind and value for money, because we stand behind everything we do for you. Free support, advice and guidance – LED signage can be a confusing and extremely expensive and frustrating experience for the uninitiated. Once we get to know more about you, we’ll explain the pros and cons of changeable LED signs indoor and outdoor led signs, so you get the support, guidance and advice you need to help you make the right buying decision for you and your purpose, not ours. Call 416-970-1983 or email us at info@ledsigntoronto.com now for your free estimate or consultation to find out more. 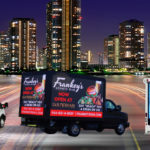 Extensive range of LED signs – Because we’re the complete LED signage service from design to installation we’re one the few sign companies in North America with access to an extensive range of LED signs in all sizes and shapes big and small, that you can think of. We’re focused on relationships and return on your investment – Unlike some of our competitors who just want to find you, flog you and forget you, we’re all about relationships first and return on your investment second. This is why a lot of our clients in retail, the franchise and corporate sectors, come back and use us again and again. Isn’t A Neon Sign Better? Neon signs use glass tubing which are fragile, uses more power and can break relatively easy. LED signs have beads or a string of Light Emitting Diodes called (LEDS), which are spaced just far enough apart that the light source overlaps each other to generate the constant glow. LED signs for most part, are cased in a polymer jacket for protection, which also means they are lighter and more energy efficient. Generally speaking, LED signs use a lot less power than neon and fluorescent tube signs and do not get as hot. 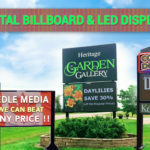 There’s no doubt that getting an outdoor LED sign for your business from Ledle Media, is a great way to attract people into your business, however you need to be extremely cautious about the cheap imitations out there.